Residents and business owners joined a two-day festival to celebrate the reopening of the Ithaca Commons. 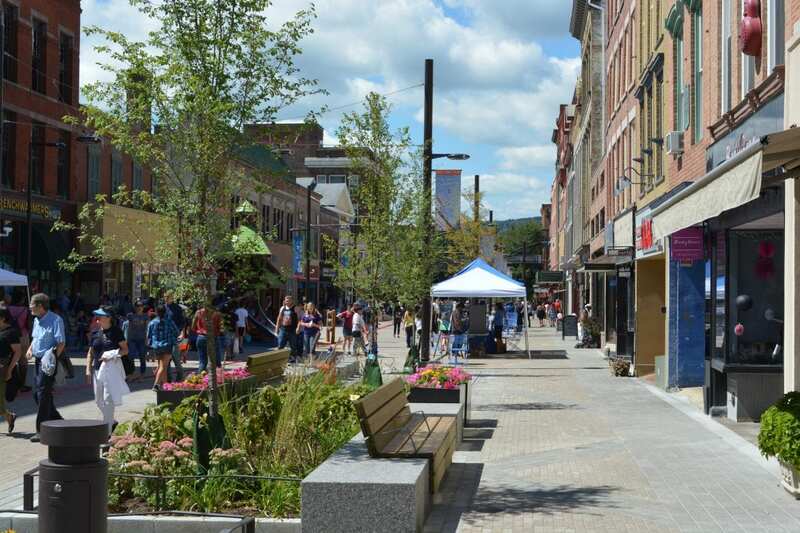 The Ithaca Commons pedestrian mall is open again after a facelift that took more than two years to complete. A two-day festival marked the occasion over the weekend, and residents and tourists joined Commons business owners to celebrate. WSKG’s Solvejg Wastvedt sent this audio postcard, beginning with the ceremonial ribbon-cutting.